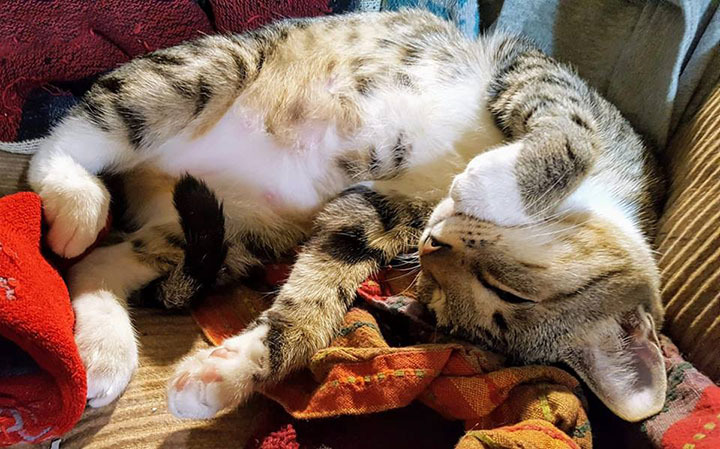 You are here: Home / Adopted Cats / Seska – Adopted! 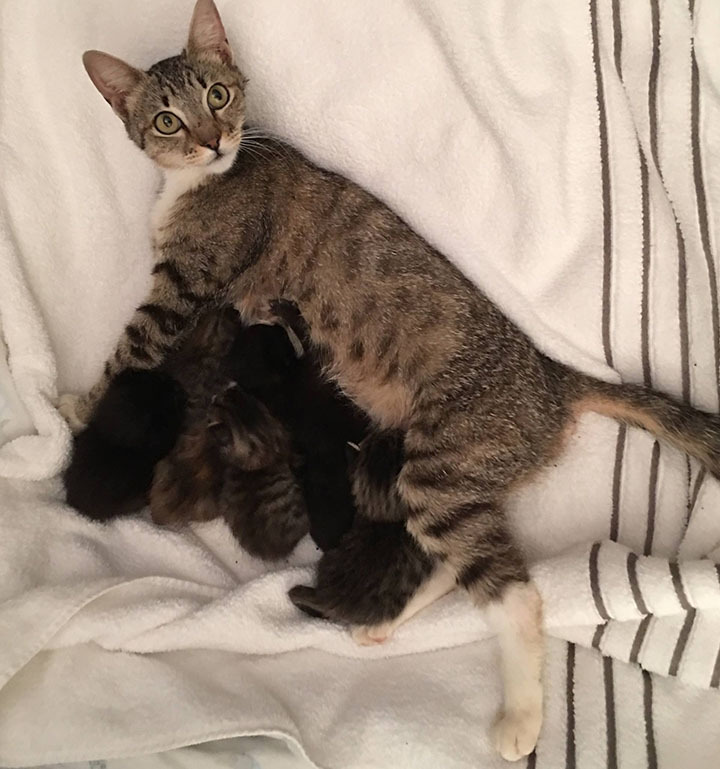 Seska was rescued from Devore in July, 2018 with a litter of kittens in tow. 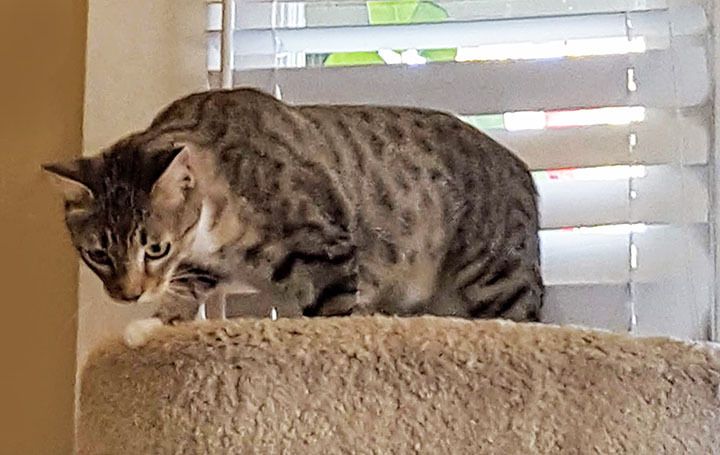 When her little ones were weaned, she traveled north to her new foster home in San Jose where she now awaits her forever person or family. Beautiful and petite with incredibly sleek, soft fur, this little puma-faced girl is estimated to be between 1 and 2 years of age. Seska is an affectionate purr monster who loves to be pet and, while she doesn’t really like being picked up, she’ll happily curl up in your lap once she gets to know you. She still possesses an abundance of kitten energy and is extremely playful – especially when catnip is involved! 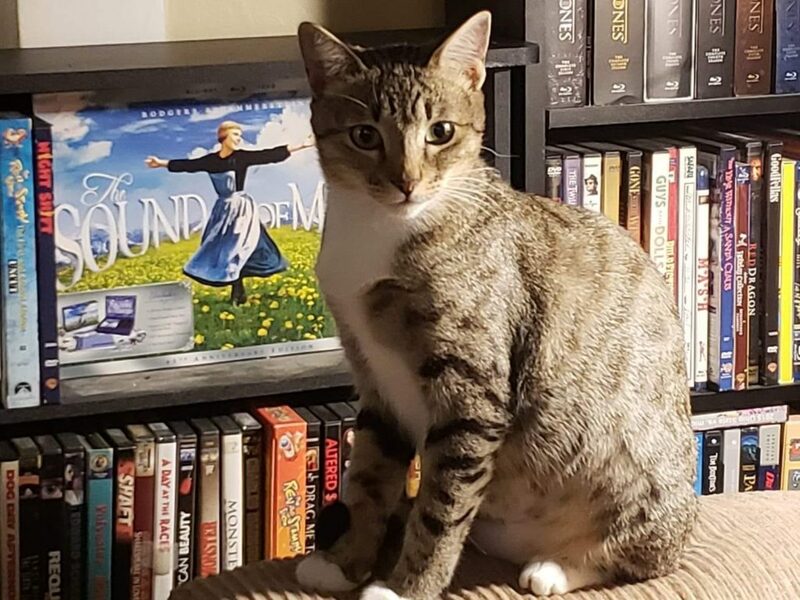 However, she’s uncertain around other cats and would probably be happiest either as an only cat or with one kitty friend who is playful, independent and confident without being dominant. 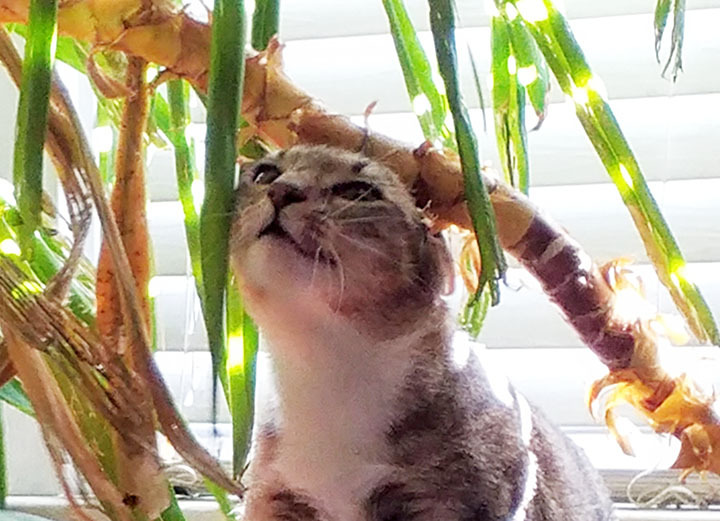 Seska was adopted March 16, 2019!